There are some irregularities in contraception and birth control that make me question. What do you think? In the book ‘Taking charge of your fertility’ by Toni Weschler, she talks about the politics of birth control and as I work in the area of pharmaceuticals, I cannot help but agree with a lot of her points. Why is it that women, who are fertile only a few days each cycle, have the most available and numerous methods of contraception? Most birth control methods are developed for ladies; Why is this? Men are fertile every day and yet the choices available to them are very limited. In fact, going under the knife is the only option the healthcare professionals have for them. The barrier method can also be obtained from most shops. Most of the time women carry the burden for preventing pregnancy. Yes, women have to live with the consequences whereas a man could walk away? Nonetheless, is it fair or right that ladies should do this at risk to their present and future health? Why are health professionals not taught how to counsel people on avoiding pregnancy naturally? The ‘rhythm’ method may have been mentioned briefly but if you consider the first three of the fertile thoughts, you will see why it does not work. If people use a method based on flawed averages, is there any doubt that unplanned pregnancies will occur? With no education on an appropriate method of natural family planning, how can the healthcare professionals spread the word about all the choices women have. It is also a lot more time-consuming and potentially embarrassing to explain the process so it is easier to stick with the status quo. Why is there an unspoken stigma attached to people who choose not to use birth control and you could become labelled as some kind of religious nut for even thinking about it. However, is it all part of a marketing message that has left both men and women unable to really consider what is being introduced into a woman's body? Did you know that Natural family planning when used appropriately is actually as effective as any contraception you may use? We all know contraception was something our feminist mothers fought for and yet here I am, asking you to think again. You must do something about birth control but are you as limited as you think you are? Xynol - An exciting hypothetical male contraceptive. Only 3 of them died from an infection in their lower region but of course, 1 man will die from that even if not on this pill. More common complaints included weight gain, cramping, headaches, generalised anxiety and occasionally severe abdominal pain. Do you think they would take this form of contraception? Should they take it? If a man is willing to take it, yes. The big question is do women want to trust men to take it like he should. I really do not want to leave you thinking I am against birth control in all its forms; No, I just want you to take control of your own fertility, your own body and really be aware what you are subjecting yourself to. With this knowledge, make an informed choice rather than one made for you by pharmaceutical company marketers banking on your need for convenience and conformity. I am all about informed consent. 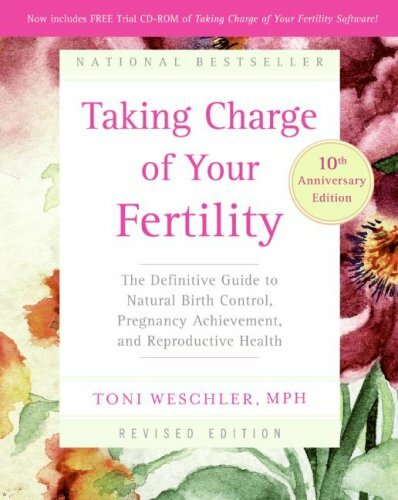 Learn more specific detail by reading the book by Toni Weschler - Taking Charge of your fertility. You can even take a free course on learning how to chart on Fertility Friend. You will not regret discovering more about yourself. You are definitely worth it. An amazing website which teaches you all about charting as an alternative to conventional contraception. It has helped a great number of women learn about themselves and learn about their fertile periods. I used it to plan my three pregnancies and now use it to remain without child. There is an iPhone and smartphone app to make it even easier to use. Birth Control - Can you live without it? Five thoughts designed to reproduce more thoughts on the subject of birth control.